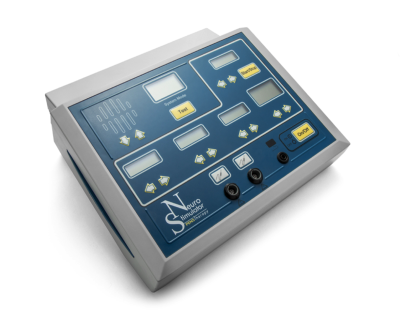 Background: Peripheral neuromodulation is often used as chronic neuropathic pain treatment. 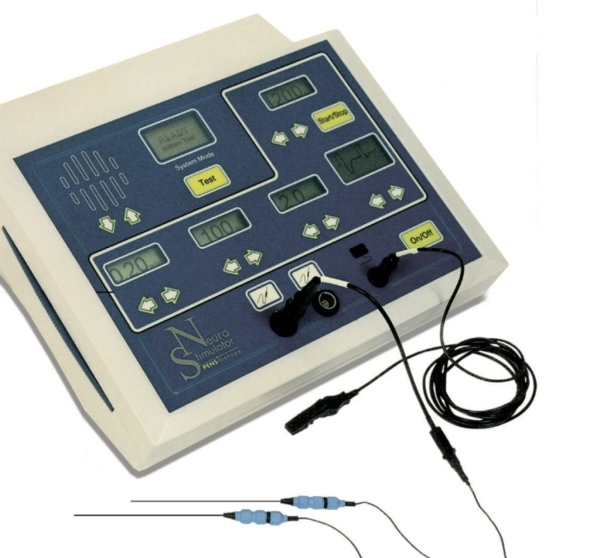 Percutaneous electrical nerve stimulation (PENS) is generally utilized with several probes at the same time and repeated treatments. Objectives: Evaluate the short- and long-term efficacy of a single probe and single shot PENS approach. Study Design: Multicenter, prospective, observational study. Setting: Four Italian pain therapy centers. Methods: Inclusion criteria were age ≥ 18 and ≤ 80 years, presence of severe peripheral neuropathic pain lasting more than 3 months, localized and refractory to pharmacological therapies. Patients with infection, coagulopathies, psychiatric disorders, pacemakers, or implantable cardiac defibrillators were excluded. Patients: Seventy-six patients (47 women, 29 men), mean age 62 ± 14 years, affected by neuralgia (21 herpes zoster infection, 31 causalgia, 24 postoperative pain) were enrolled in the study. 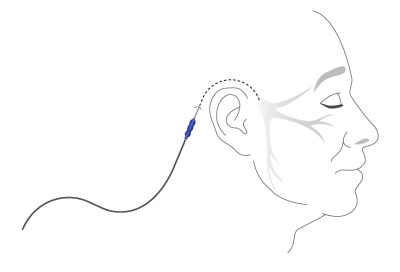 Intervention: After localization of trigger point and/or allodynic / hyperalgesic area, PENS therapy was achieved with a single 21 gauge conductive probe tunneled percutaneously and a neurostimulator device. outcome was measured with Euroqol-5 dimension (EQ-5D) questionnaire at baseline and at 6 months. Adverse events and patient satisfaction were reported. 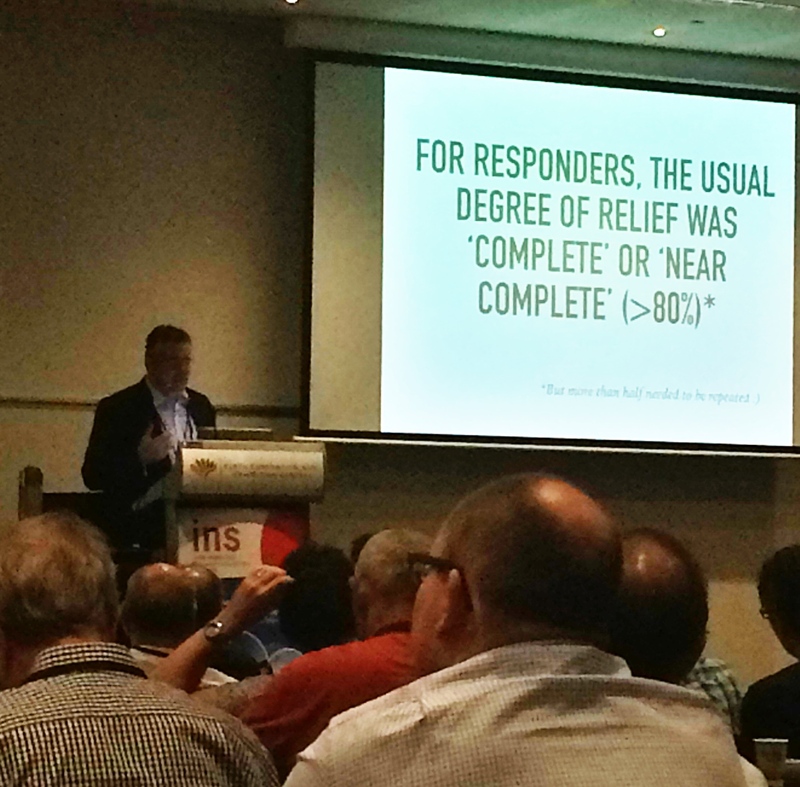 Results: NRS and NPS decreased significantly after 60 minutes and the reduction remained constant over time at follow-up. EQ-5D increased significantly with respect to the baseline. Two nonclinically significant adverse events (one contralateral dysestesia and one self-resolving hematoma) were observed. Limitations: Small sample size and non-randomized observational study; high prevalence of post-herpetic and occipital neuralgias. PENS is a minimally invasive therapy, which enables the physician to determine whether a patient is likely to benefit from an implanted stimulation device, although for some patients it may also provide ongoing pain management, thereby avoiding the need for more invasive therapies, with their attendant risks. There are also patients for whom an implanted device is not appropriate and in these cases PENS therapy offers an alternative where other less invasive or pharmacological modalities have failed.